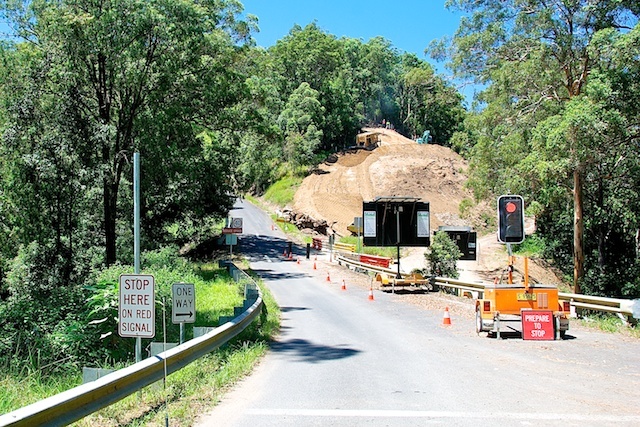 The shortcut to Kenilworth has been out of action for a year or so while the road construction crews reparil the land slip. For occasional tourists such as we are, this has meant an additional fifty kilometres or so to drive through rather pleasant countryside, but for locals it must have been a pain. But the road is open albeit with short delays and a couple of detours, and work is continuing, in those relatively rare times in recent months when it's not raining.